Home Travel News | Travel Guides Visit 6 Most Beautiful Beaches in Malvan! Synonymous with elegance, breathtaking beauty, and tranquility, the beaches in Malvan are absolutely thrilling to explore. The lengthy coastline has given rise to a number of Malvan beaches with each having extensive shores. Exploring these stunning beaches in Malvan is among the best things you can do on your next vacation. There are plenty of awesome things to do at these gorgeous Malvan beaches. You can take a romantic walk with your beau, go for a swim, build sand castles with your kids, or surf away! There are Malvan beach hotels you can stay at as well. 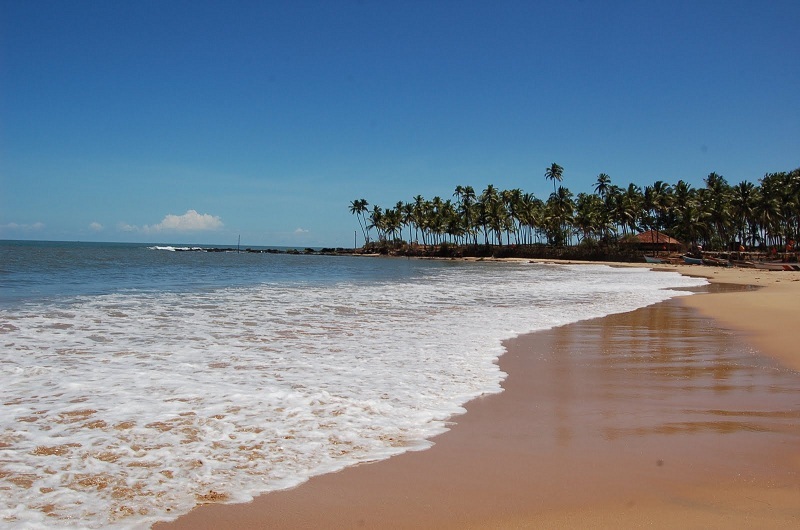 Alternatively, you can also look for Malvan beach resorts. To help you decide which Malvan beach to visit first, we’ve brought together a list of the most popular beaches in Malvan. Check them out below and find the ones you’d like to explore first. With Malvan being barely over three and a half hours from Goa, you can consider exploring Goa as well on your trip. Beaches are a large part of Malvan tourism. Many tourists even try Malvan beach scuba diving among other exciting possibilities. So this vacation, get on some last minute flights in case you cannot book flights in advance. Explore some of the most spectacular beaches in Malvan. Malvan Tarkarli Beach is undoubtedly among the most popular ones in the region. The stunning beach is located at the confluence of the spectacular Arabian Sea and the pristine Karli River. White, powdery sand is among the top attractions this gorgeous beach offers. Sparkling yet transparent waters at the beach allow you to look at least 20 feet ahead into the water. Do take your camera along and capture the most amazing Tarkarli Malvan Beach images ever! Although smaller than the other beaches in Malvan, Chivla Beach is still one of the most spectacular ones to visit. Spreading for about 1.5 km at most, Chivla Beach is ideal for couples to visit. The tranquil surroundings, turquoise waters, and gorgeous sunrise as well as sunset views add to the romantic vibe of the place. Most of the people you find on the beach are common fisherfolk who live in nearby villages. Thereby, unspoiled by over-tourism, it’s one of the most peaceful beaches in Malvan. Counted among the most commercial beaches in Malvan, Devbagh Beach is also a popular choice for water sports. So if you wish to enjoy kayaking, banana rides, surfing, and jet skiing among other things, visit this splendid beach. With stunning sea Eagles flourishing in the area, this is also a great place for bird watchers to visit. Also, there are boat rides that take you straight into the deep sea to enjoy Dolphin spotting. This is one of the most popular Malvan beaches to visit when arriving on business class flights. This is one of the quieter alternatives to the immensely commercial Devbagh Beach. Also one of the most romantic beaches in Malvan for couples to visit, Kolamb Beach has been blessed with picturesque beauty. Also, there’s a creek at one end of the beach. You can take a hand-in-hand stroll with your beloved by the shore or enjoy quality time with your family. Boating is also an exciting and fun thing to do at the serene beach. So do remember to check this beach out when exploring Malvan. One of the best things about Wairy Ubhatwadi Beach is that it offers spectacular views of the formidable Sindhudurg Fort standing tall in the Arabian Sea. While it is doubtless one of the best beaches in Malvan, swimming here is not advisable owing to the capricious nature of the beautiful waves. However, you can enjoy a stroll across the golden shores lined with towering coconut trees. You can visit with your close bunch of friends as this is one of the best places for beach lovers to hang out. A hidden gem when it comes to the beaches in Malvan, Vengurla Malvan Beach remains lesser-explored than the others. That’s what makes this one of the most spectacular Malvan beaches to explore. You can expect to find the beach surrounded by lush green hills dotted with coconut, cashew, mango, and palm trees among others. The beach also holds historical significance having been attacked a couple of times in the 19th century. Thereby, the beach appeals not just to beach lovers but to history buffs as well. These were some of the best and most beautiful beaches in Malvan to explore on your next vacation. You can book cheap flights to Goa International Airport since it is the closest one to Malvan. Alternatively, you can also arrive in Pune or Mumbai. These are more or less the same distance from Malvan. Visit and explore the most gorgeous beaches in Malvan!